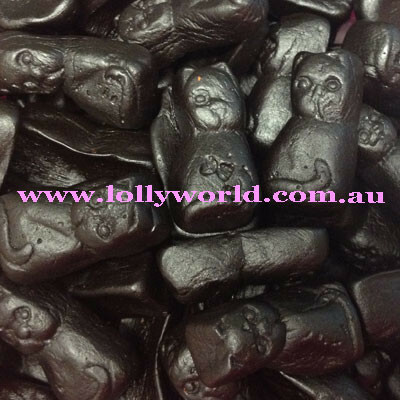 Dutch Licorice Black Cats are a salty licorice from Holland. They are a medium size salty black cat lolly. You may also know them as Limburger Katjes.